Absolutely, it’s really just two materials. Marabou and the Arizona Simi Seal. I cut the pin tips off. I use a dubbing loop to put on the Simi Seal. Loops work better for me. I tease out the Simi Seal a little with a brush and try to even it out. A black Backstabber is far more than a carp fly -- it's a great all-around fly. 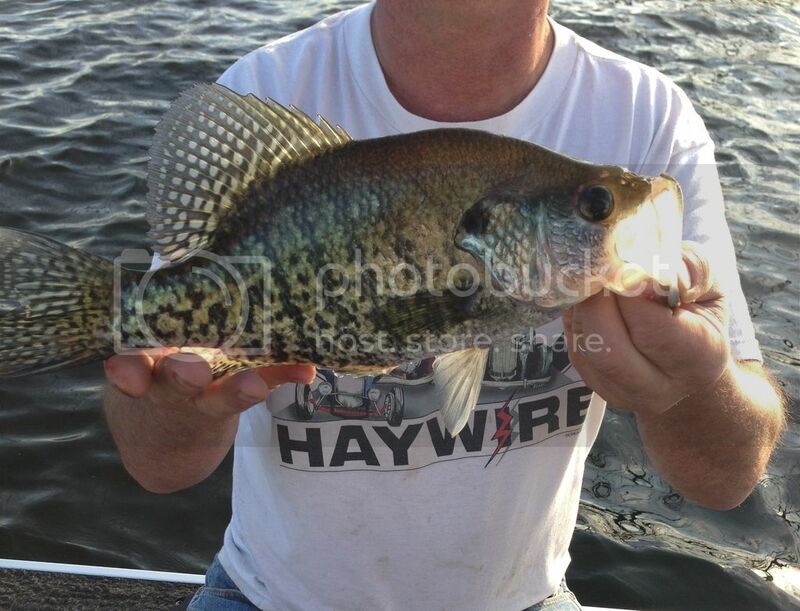 I catch a lot of crappie on them like this one (and some grayling!) -- though if I'm searching for crappie I'm probably using a #2 or #4 Clouser in light blue/white. Never caught crappie on a fly. Used to fish for them with spinning tackle. With spinning tackle it was fun. Must be a blast on fly gear. I also recall that they run in schools so once they start biting you get some pretty good action. It's especially fun on the fly when you get a school feeding on top. On my favorite lake you can often find them early summer starting just before dark. The water literally starts boiling with feeding fish all around my boat. Cast in any direction and wait 5-10 seconds for a hit. 50 fish was so easy it's not even a challenge. Now catching them when they are suspended 8 ft deep near brush is quite another matter. Flies that look like jigs and sink the way you desire can work but it's usually pretty challenging IMO. Definitely want to start with plenty of flies. FAVORITE FLIES,fishing,Lefty Kreh,Vol 1,dry flies,nymphs,emergers,color illust.